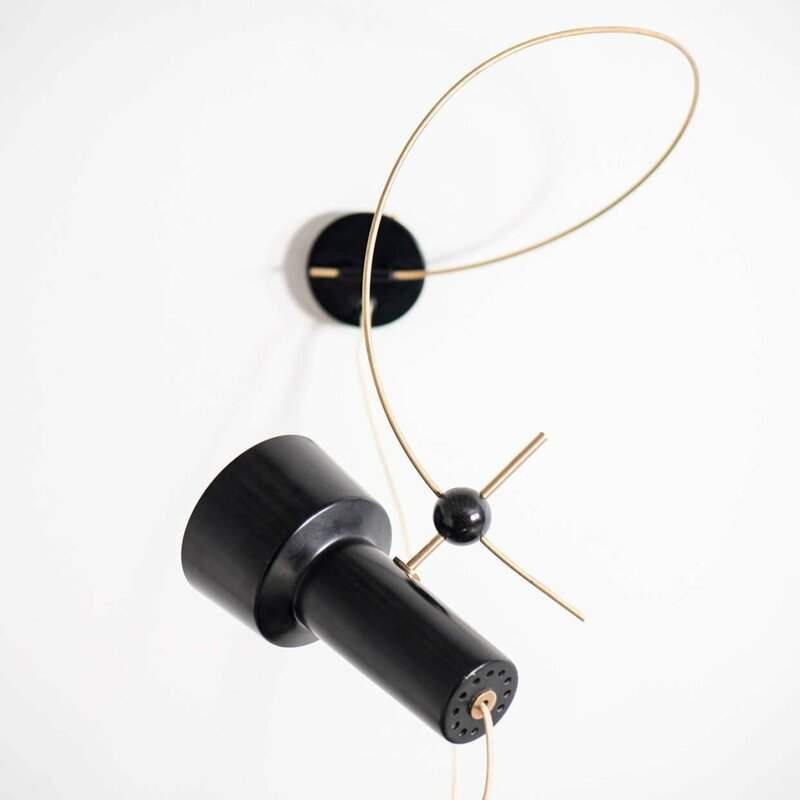 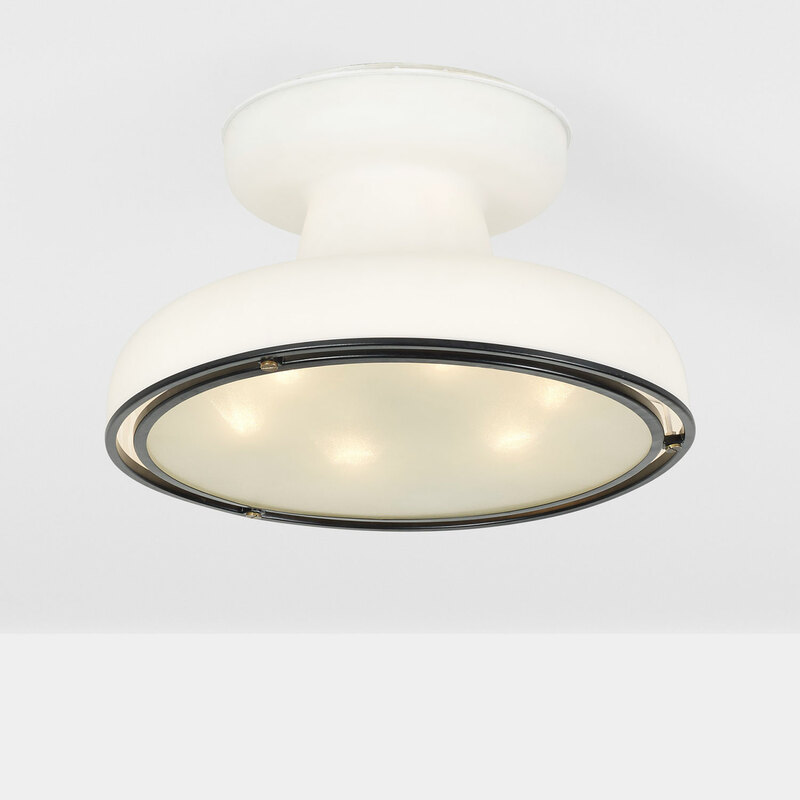 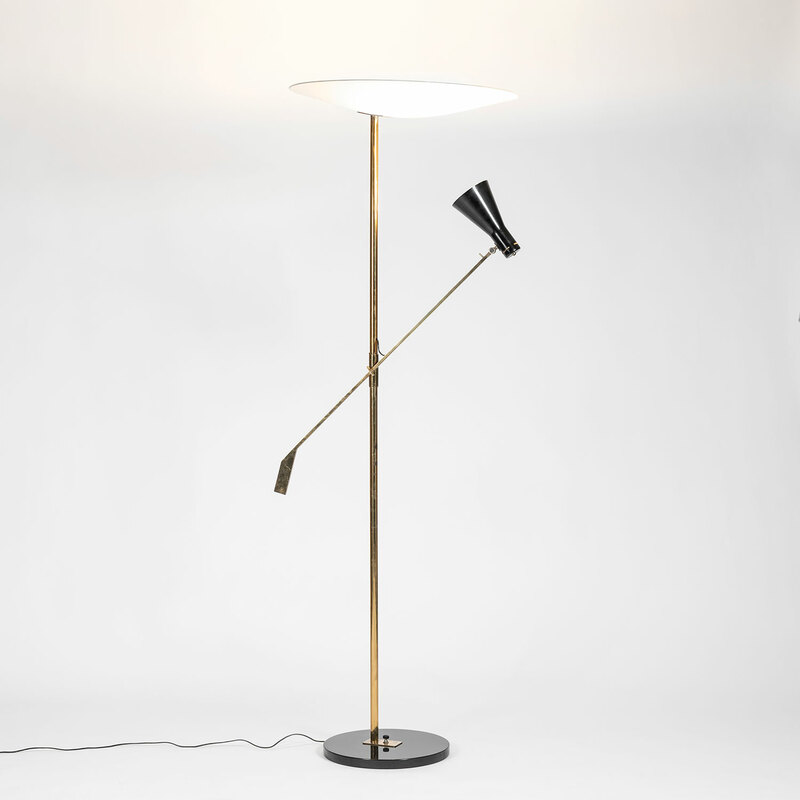 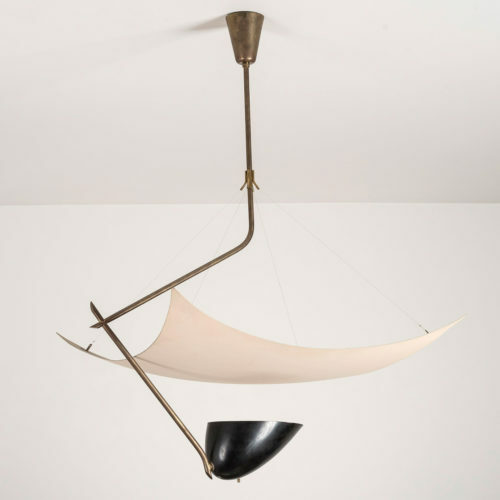 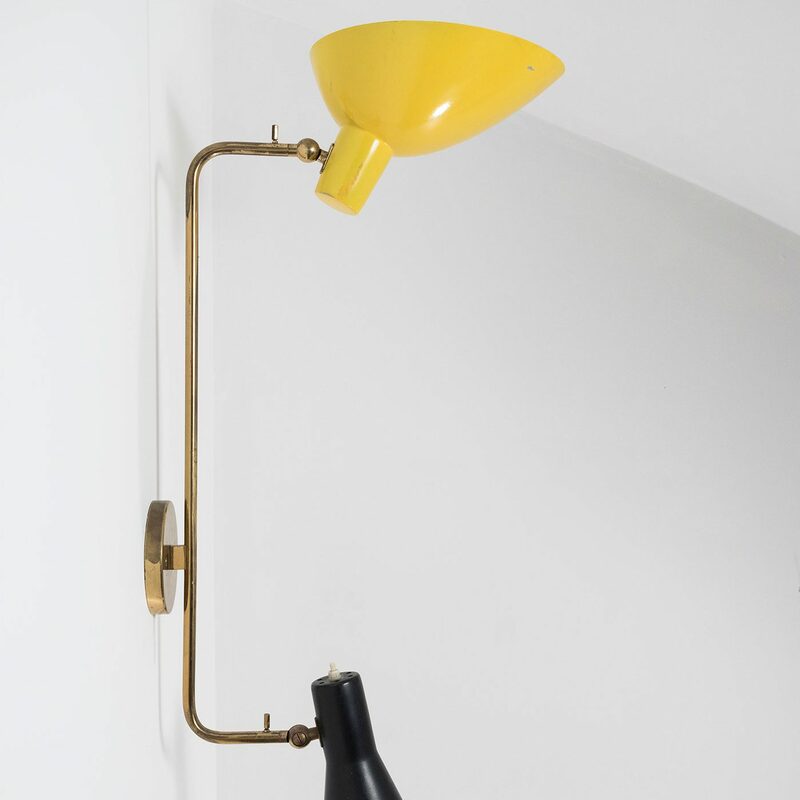 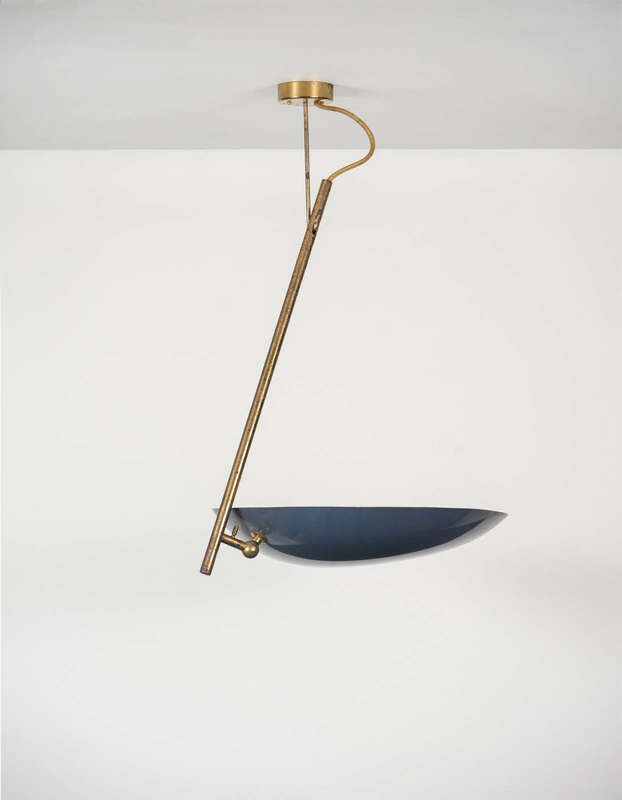 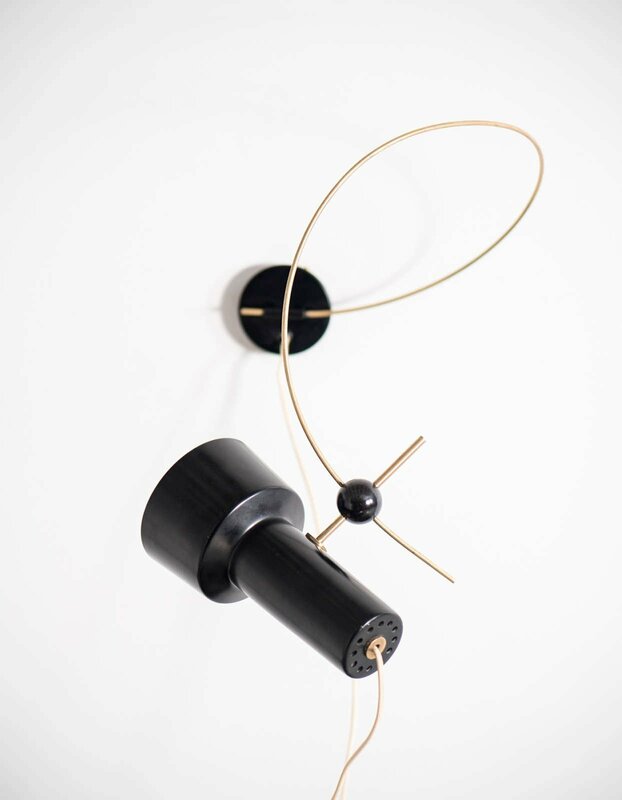 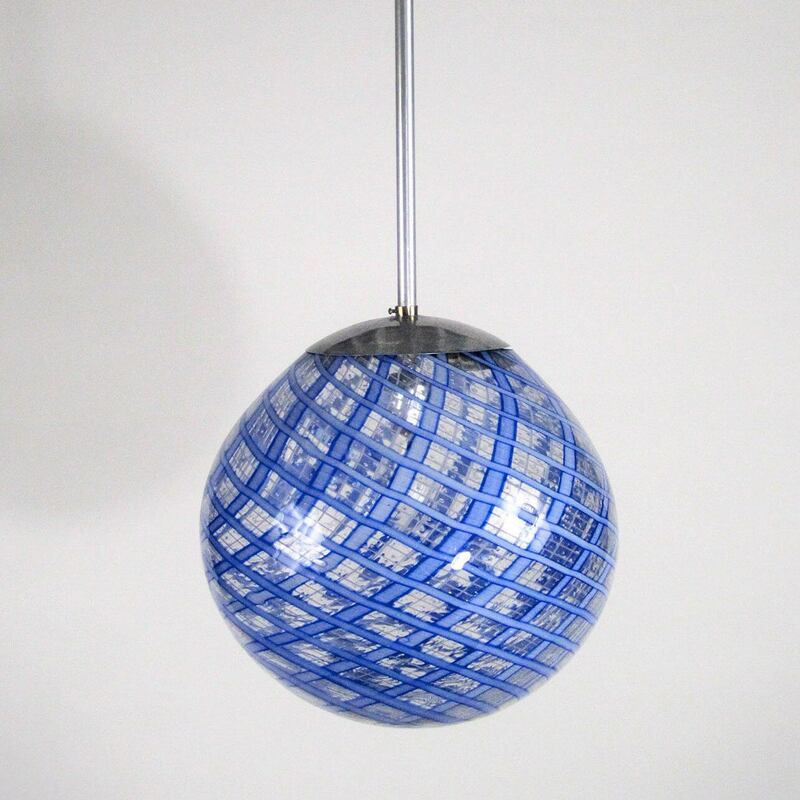 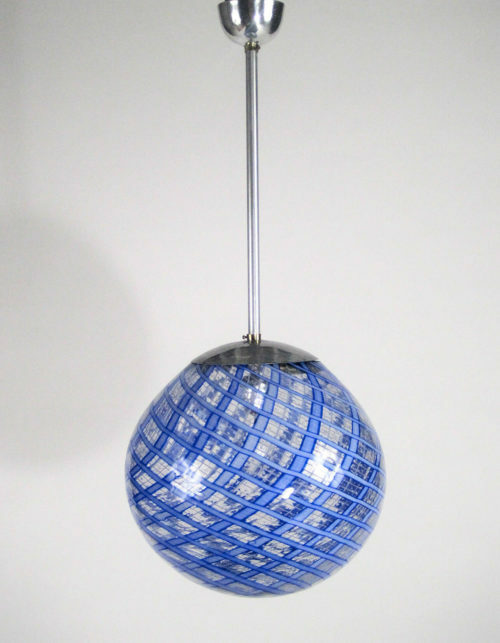 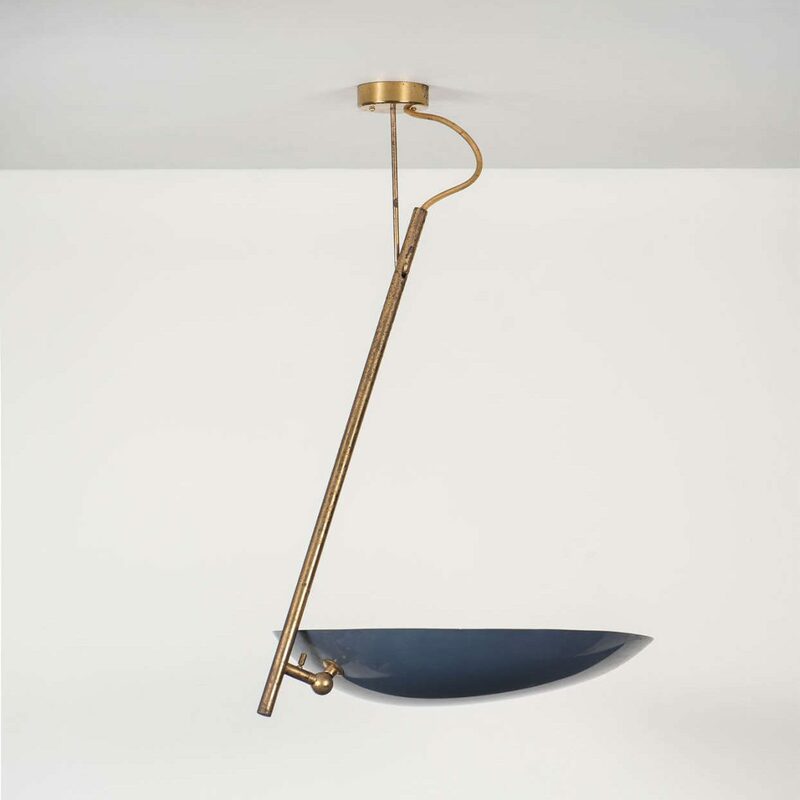 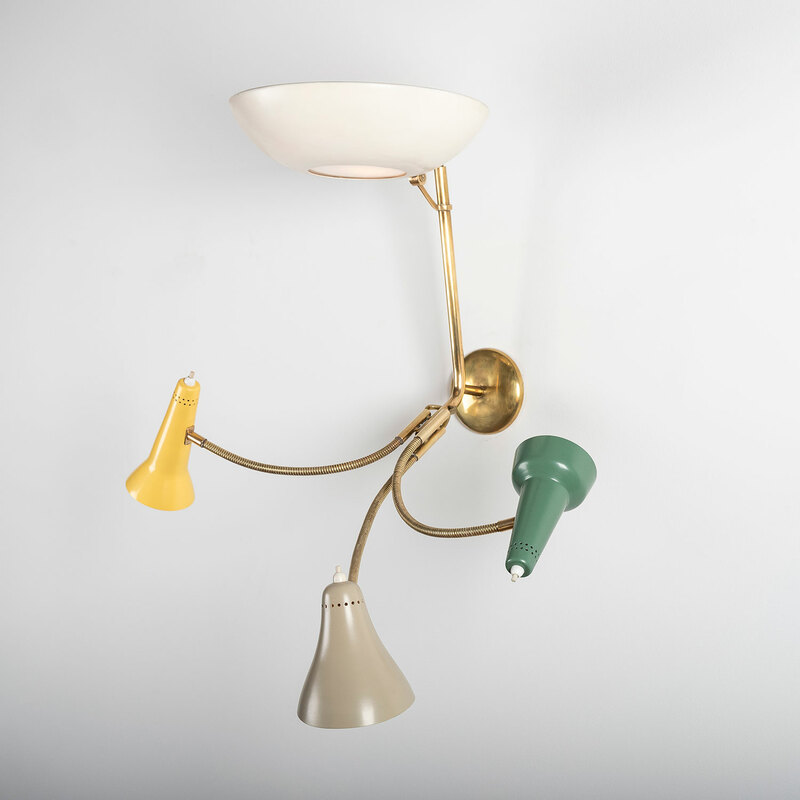 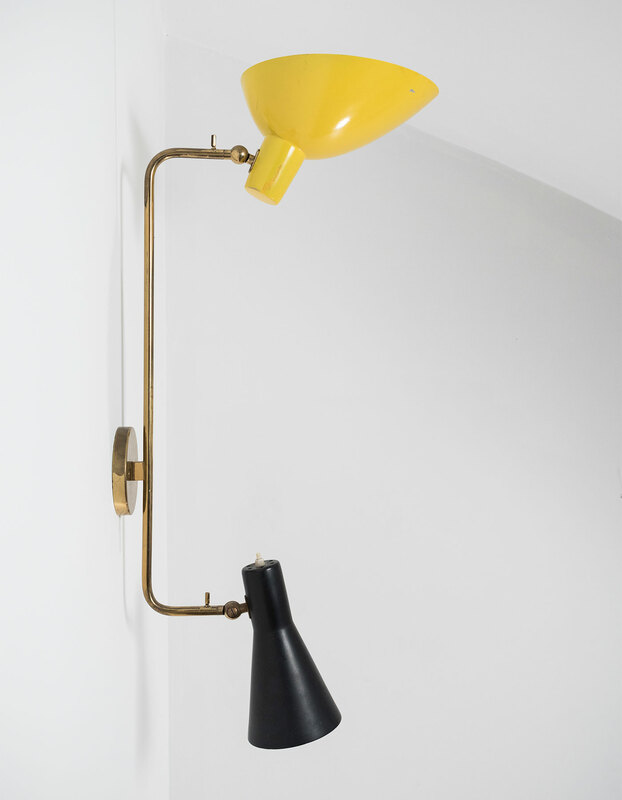 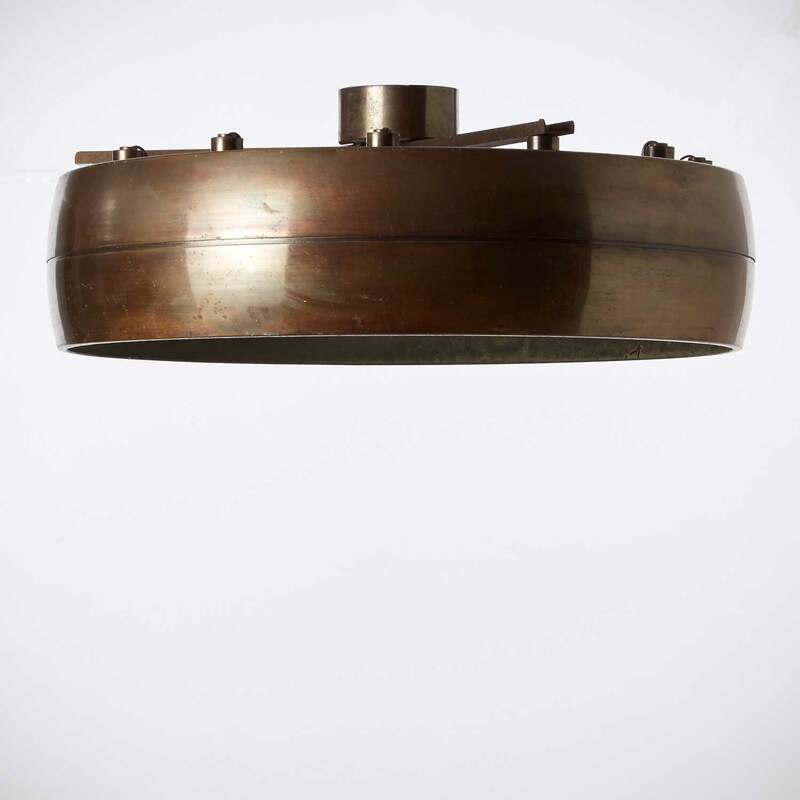 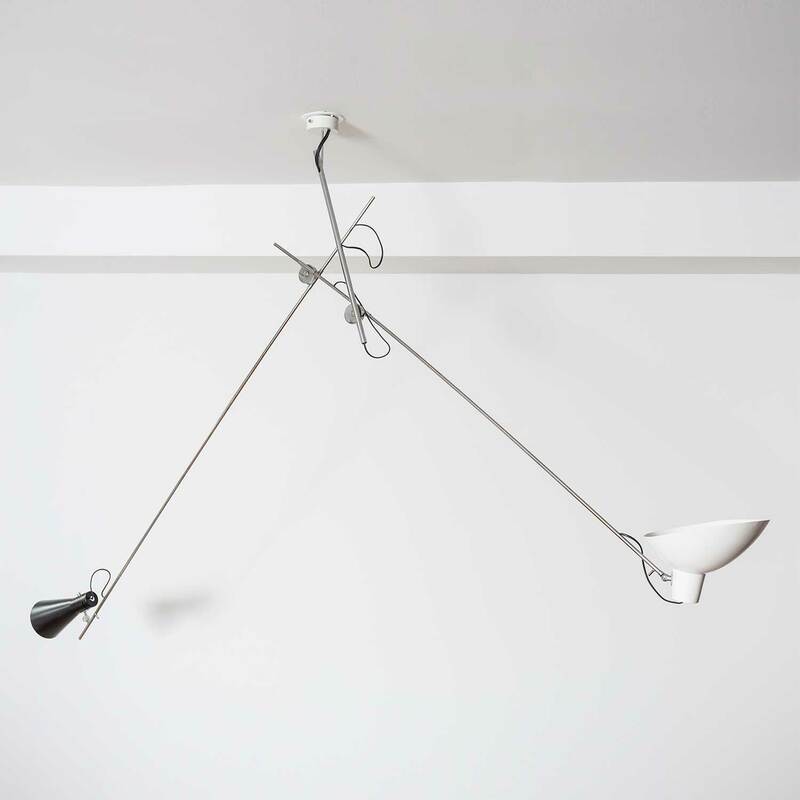 This is a very rare Gino Sarfatti lamp made in 1951. 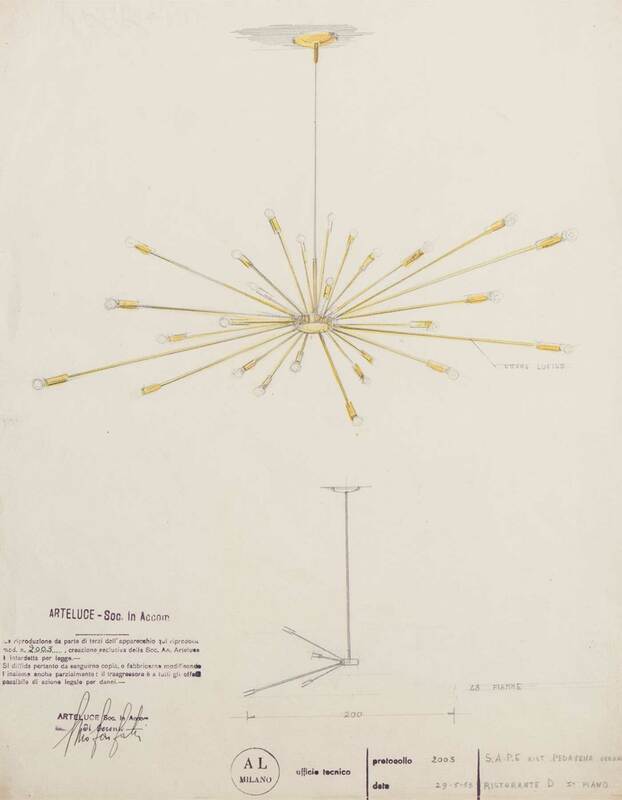 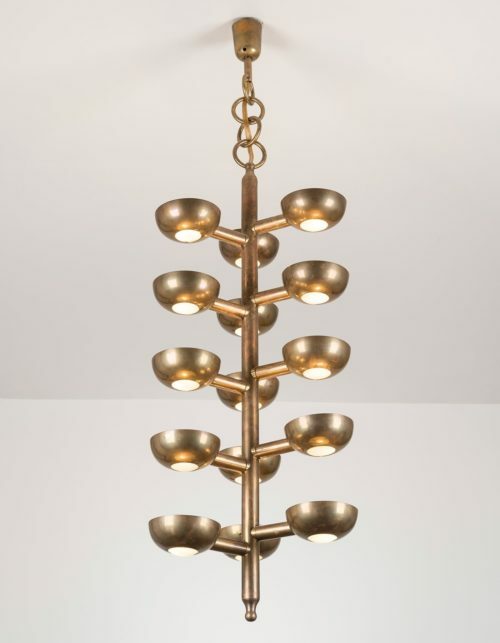 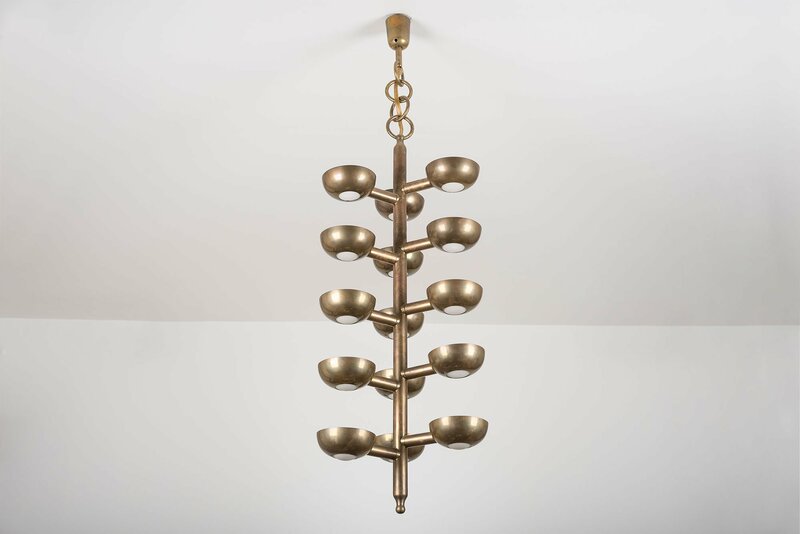 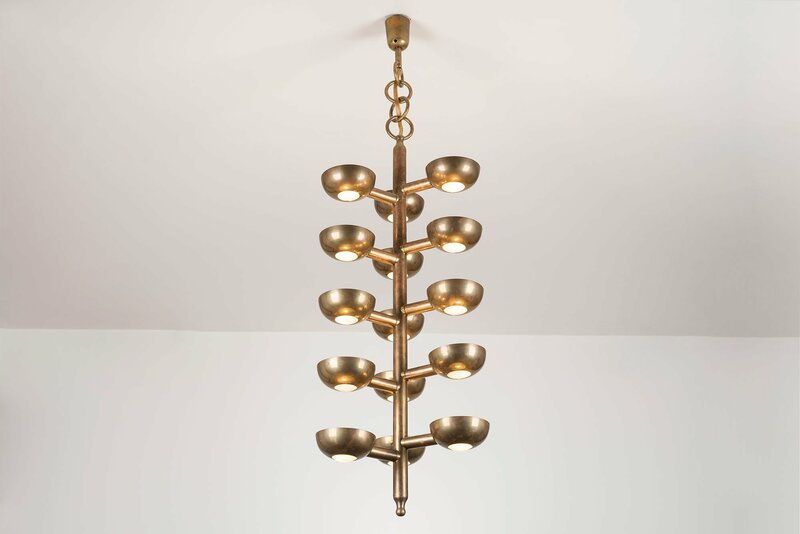 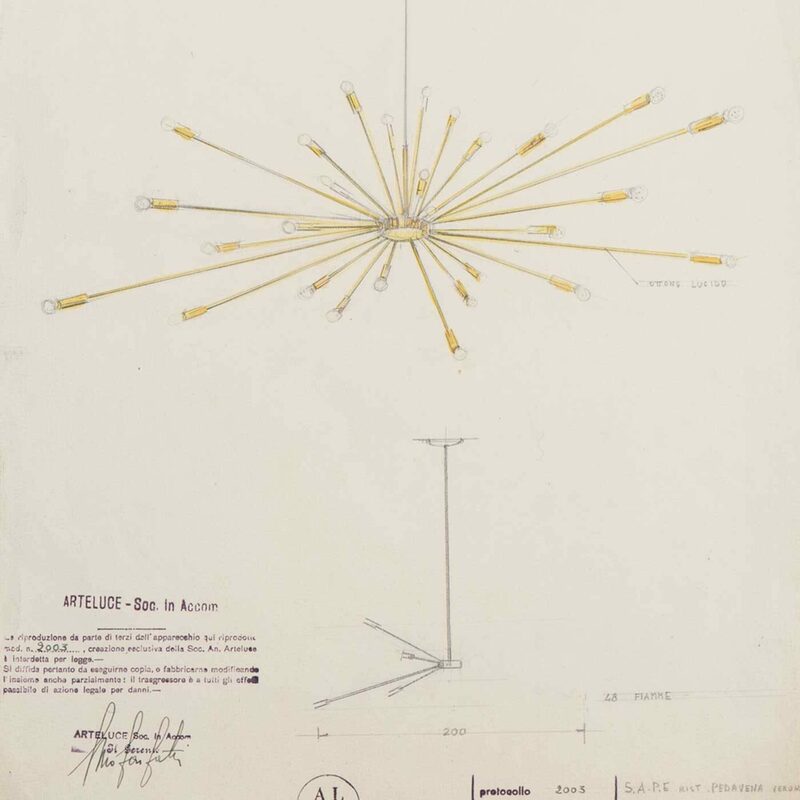 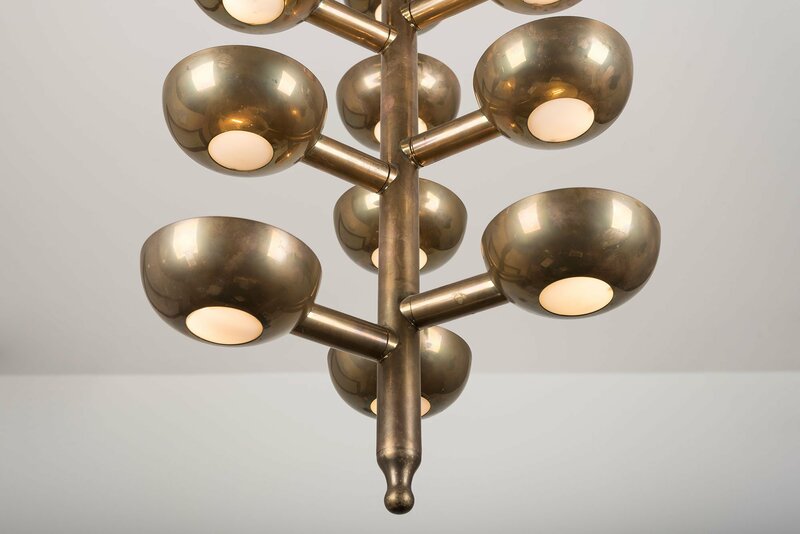 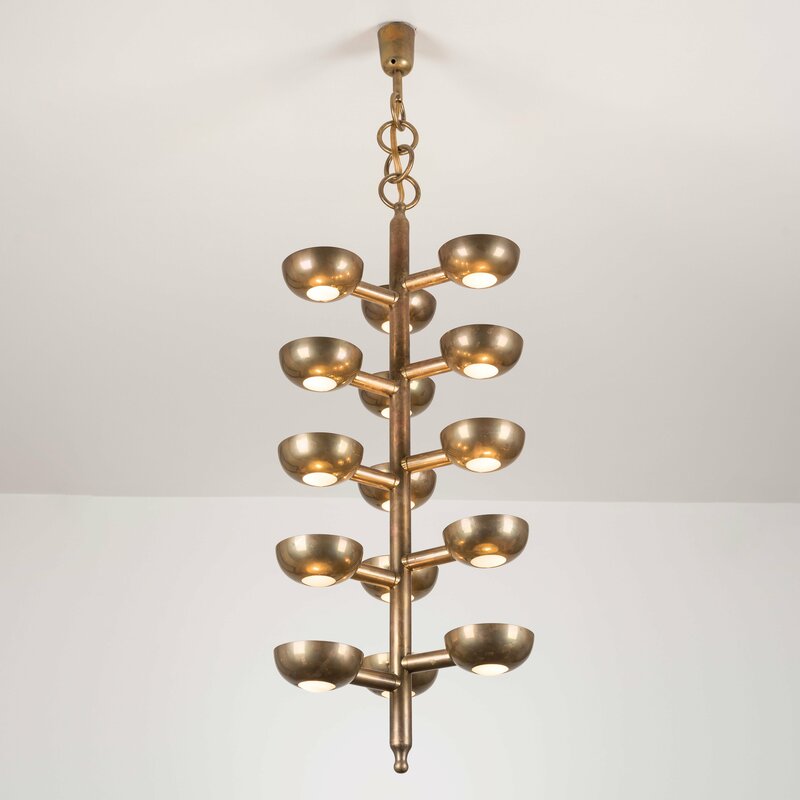 It consists of 15 brass light capsules arranged in 5 groups of 3 light capsules each, and attached to a vertical brass tube. 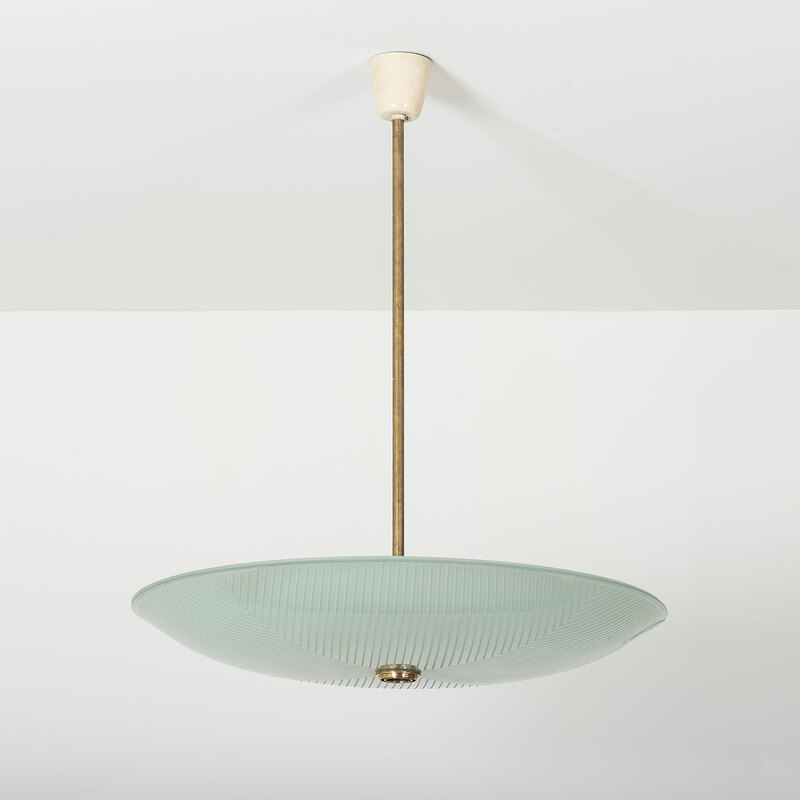 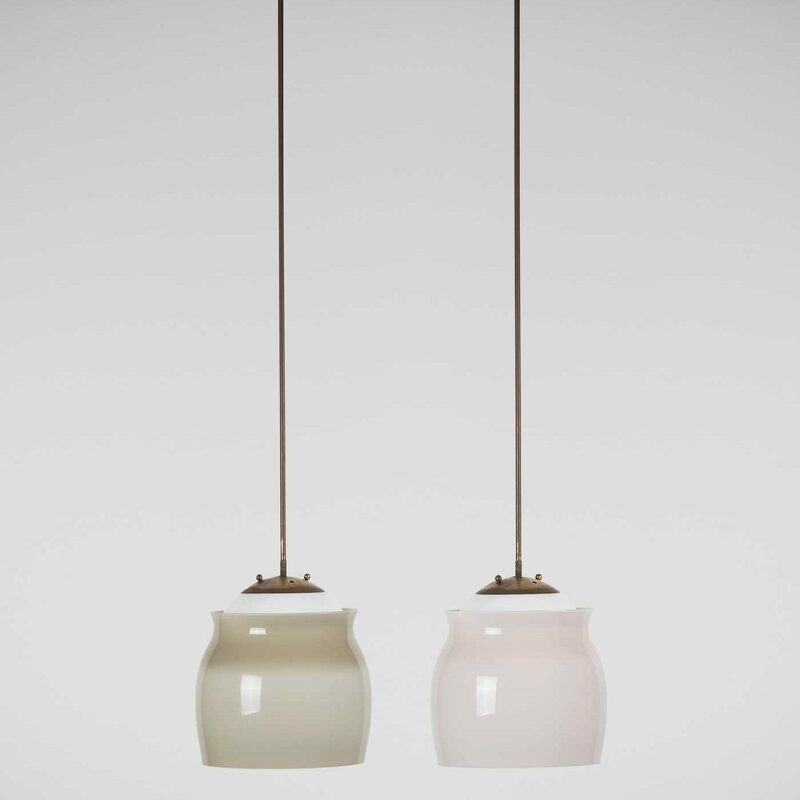 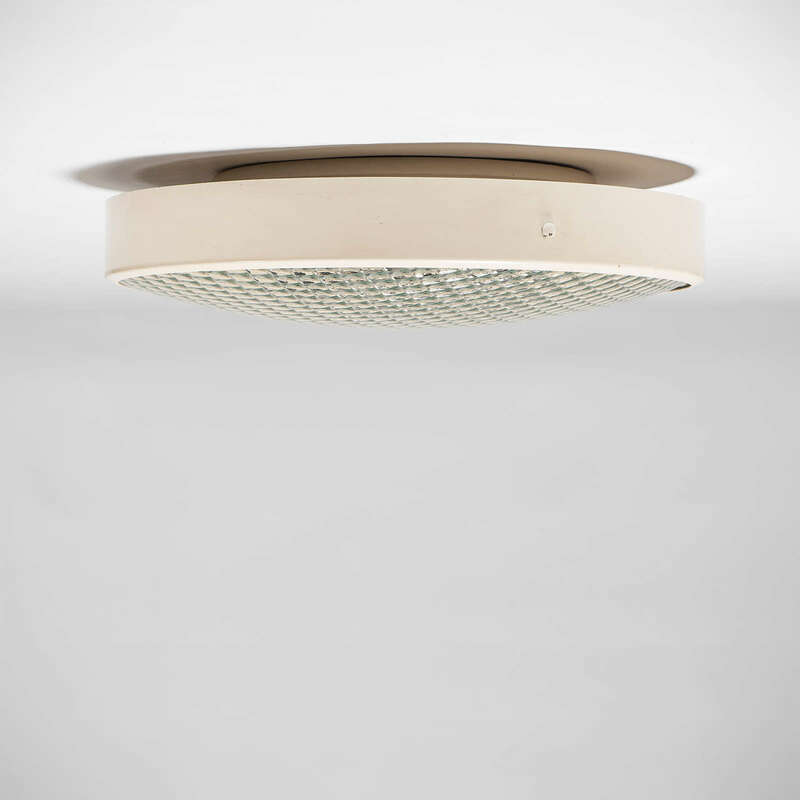 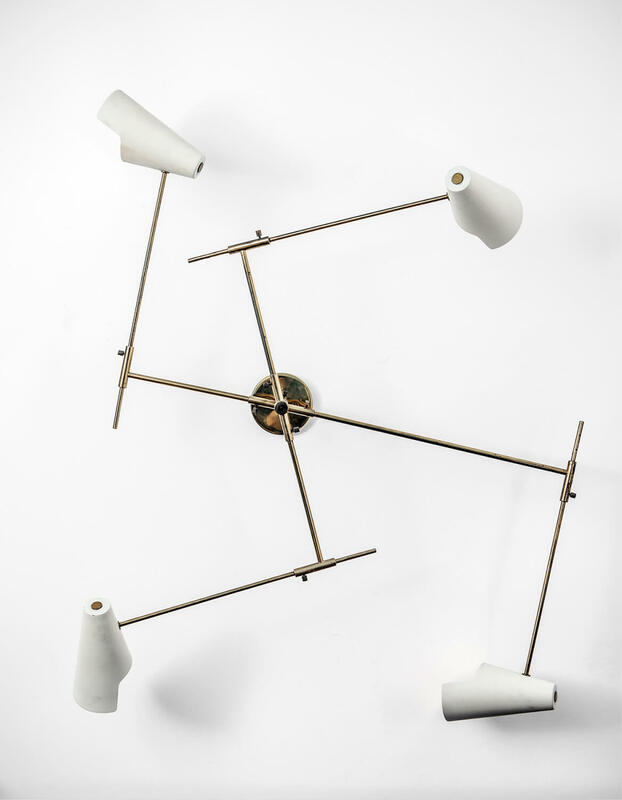 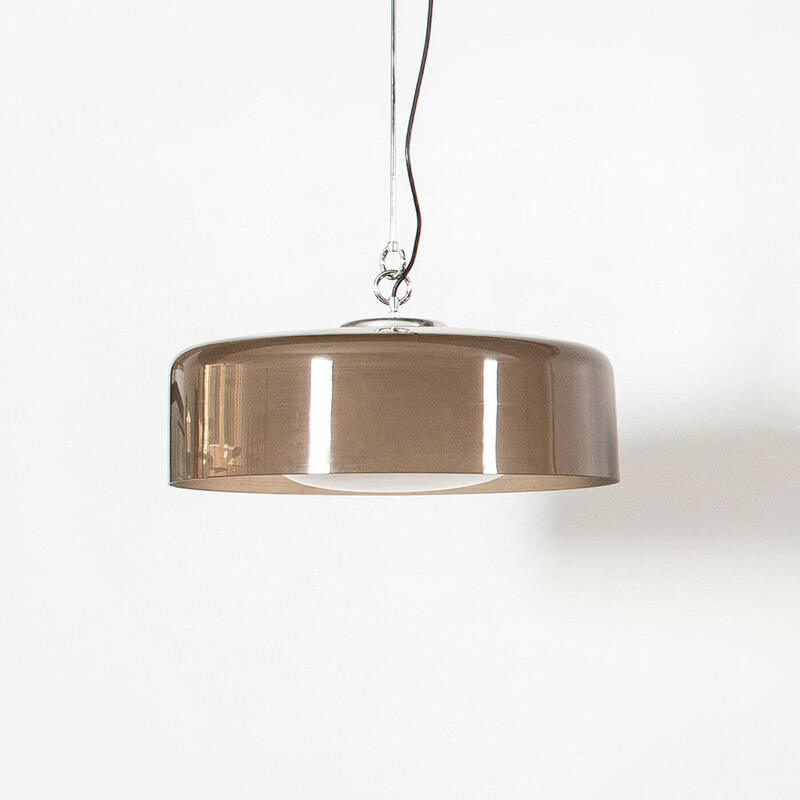 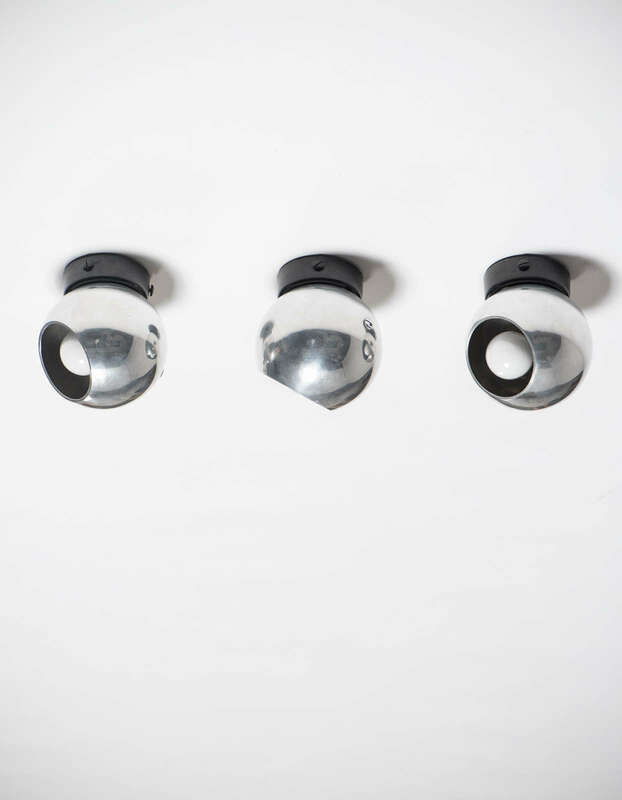 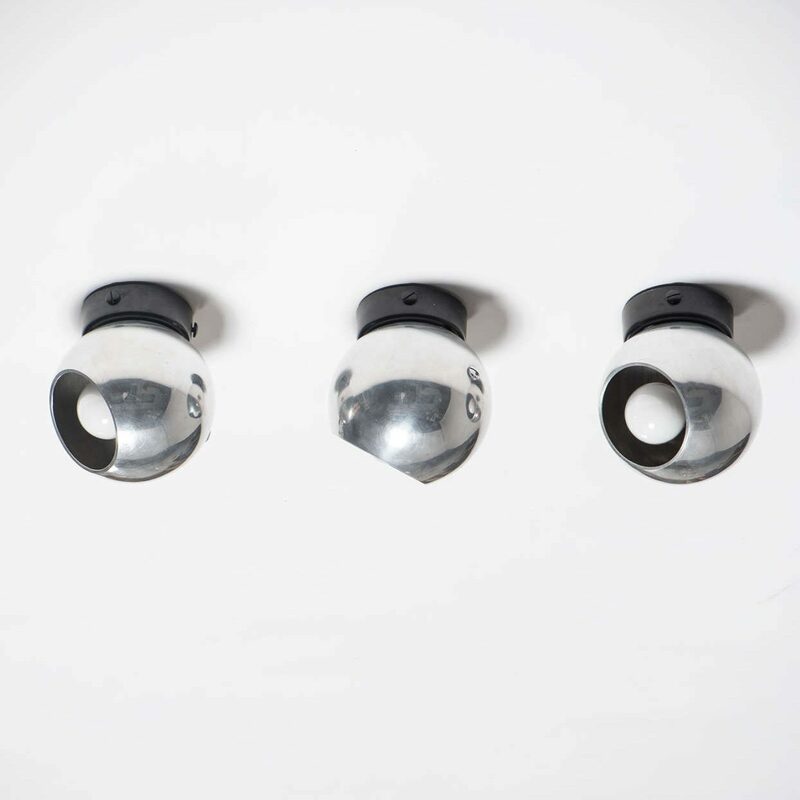 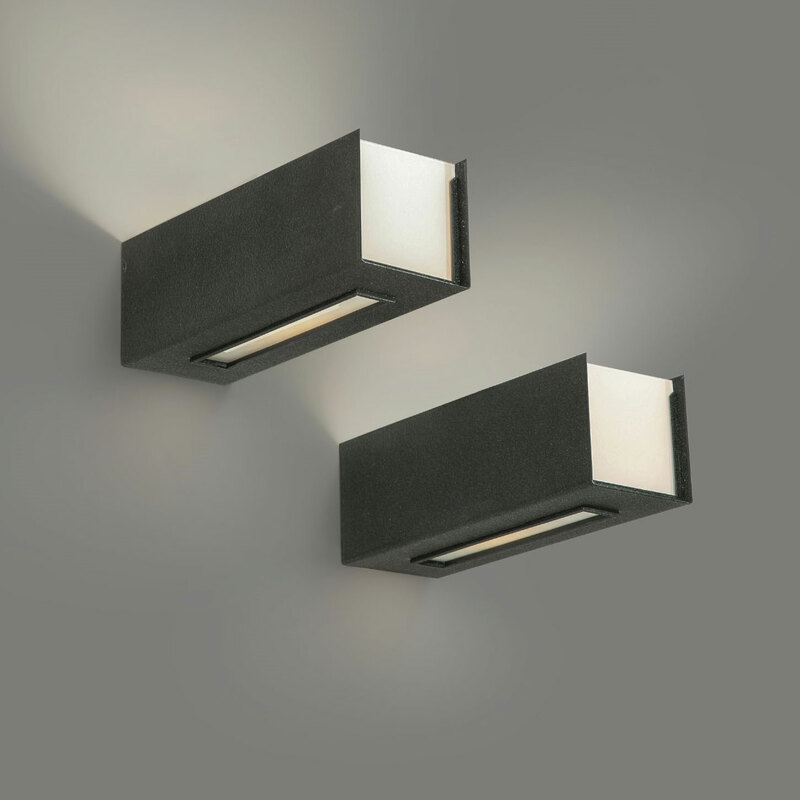 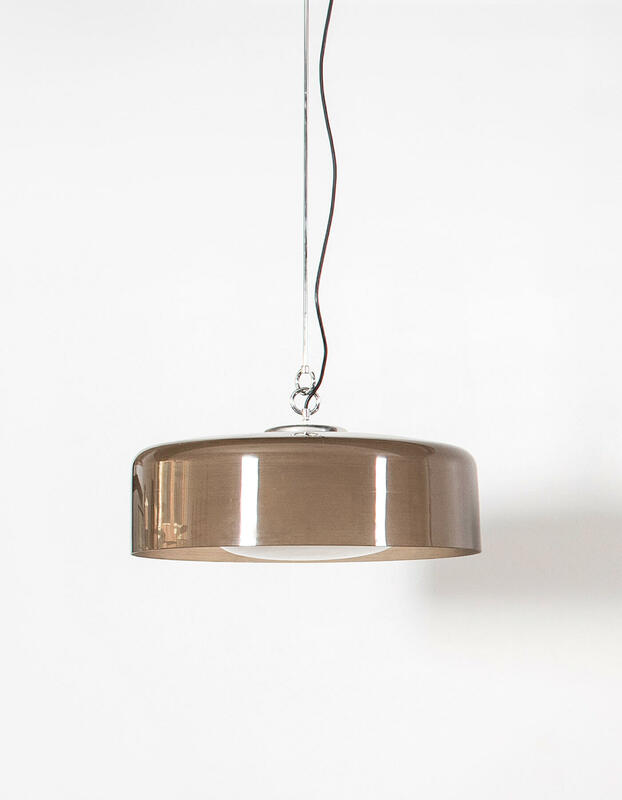 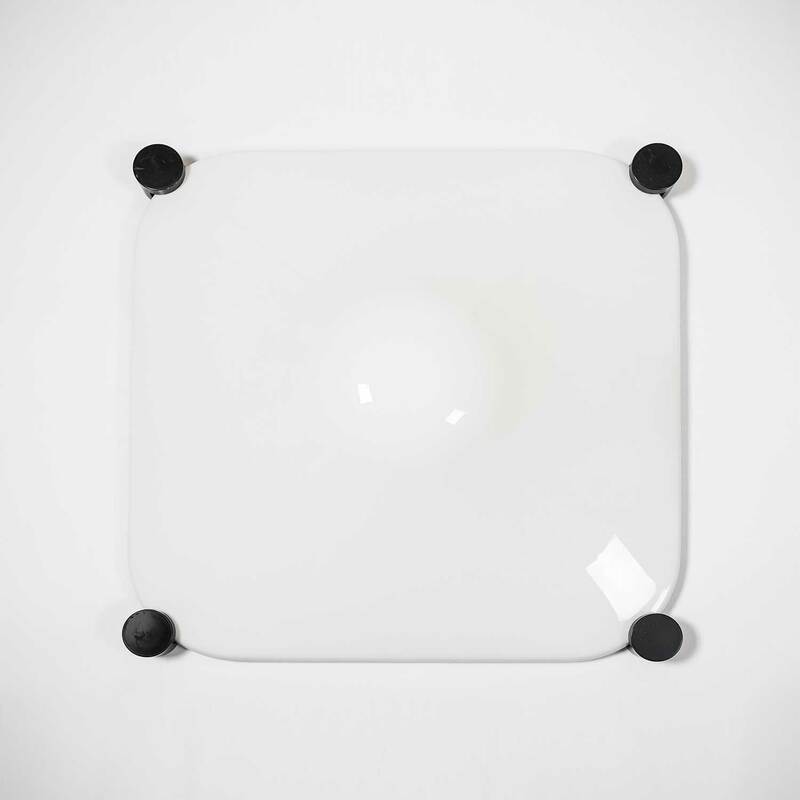 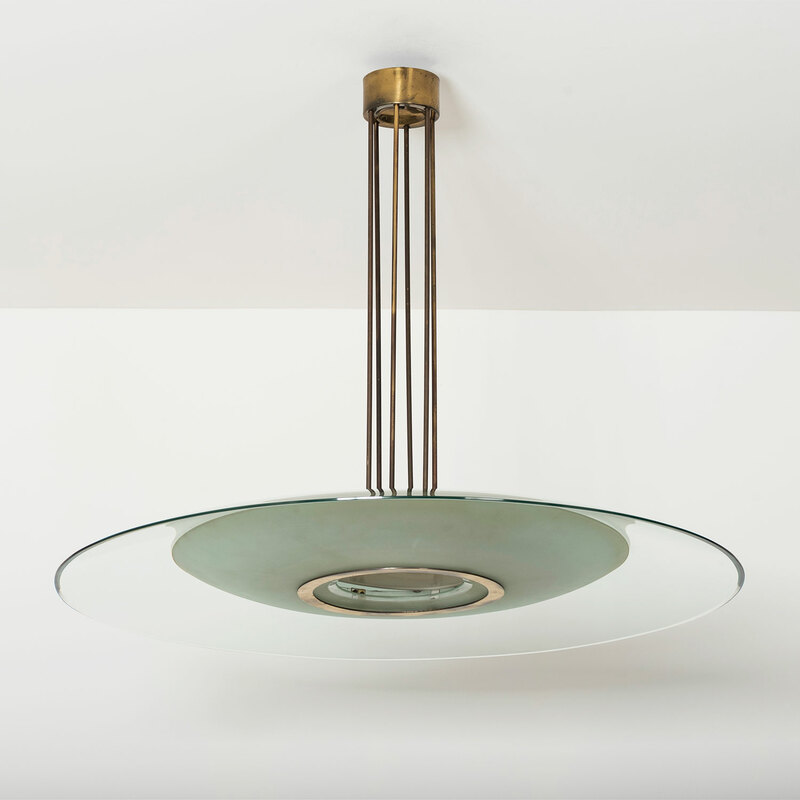 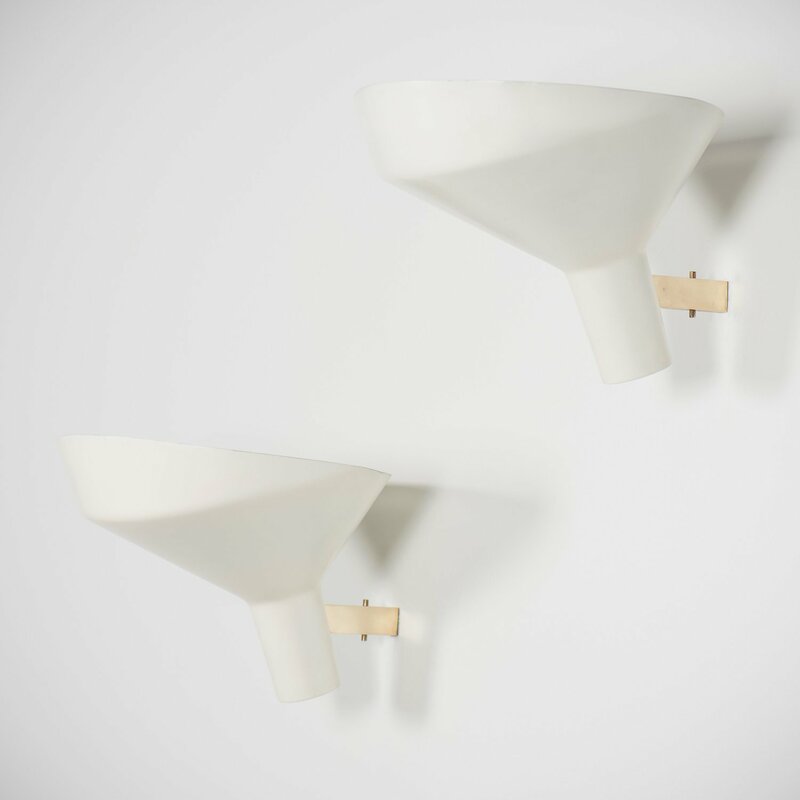 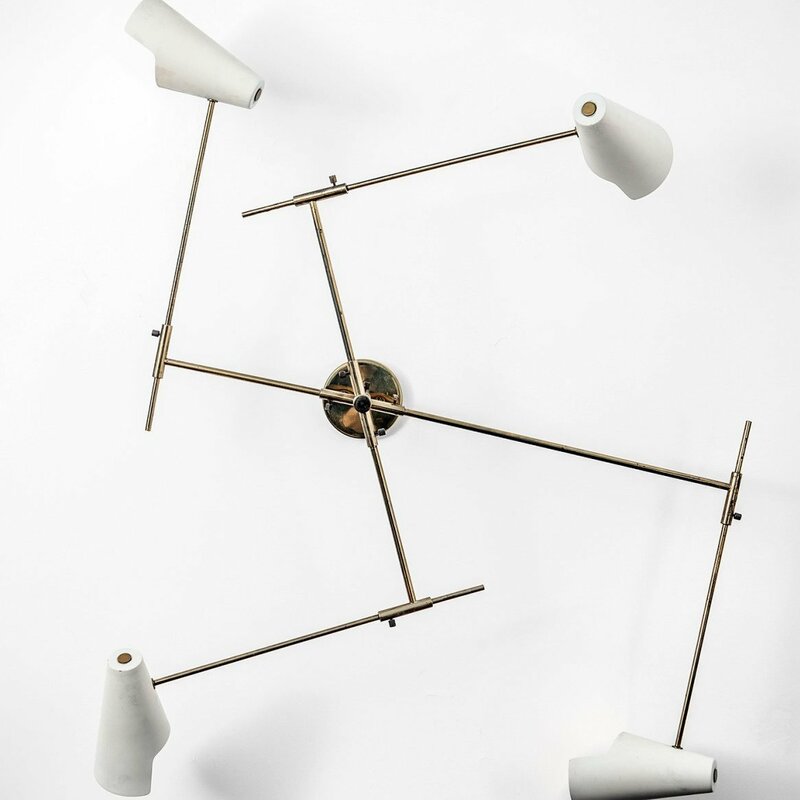 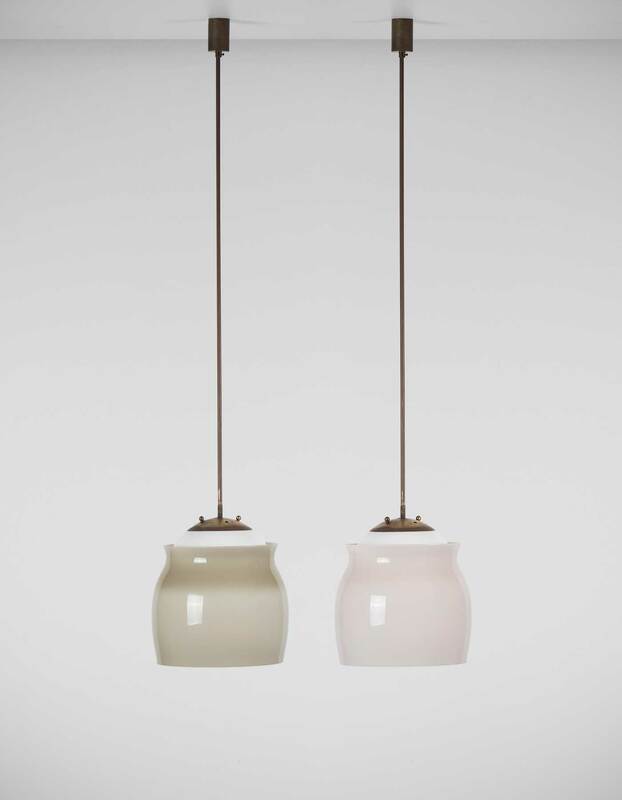 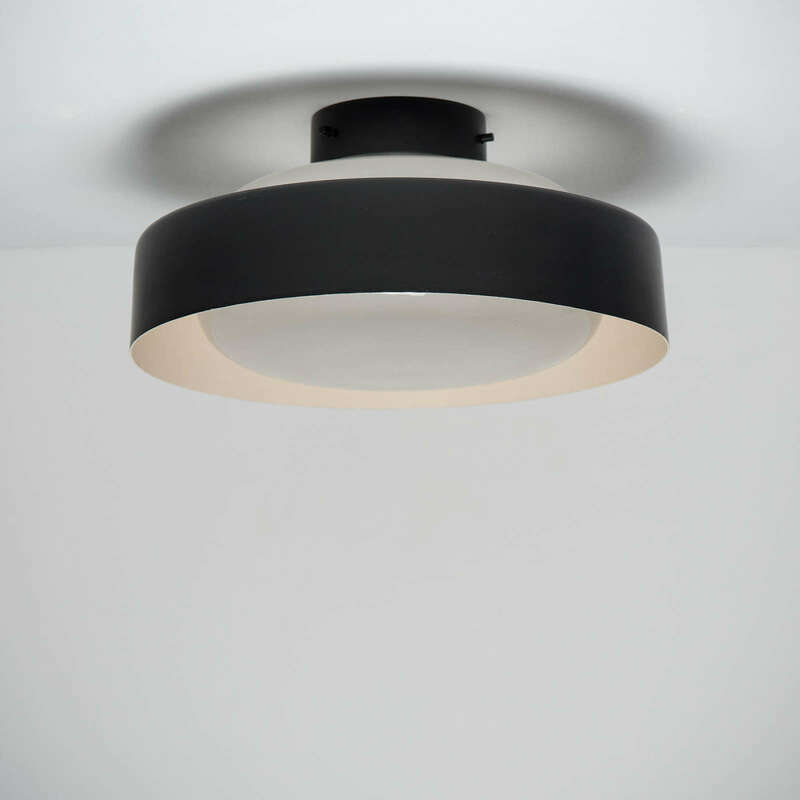 Each light capsule reflects its light on the light capsule above it, resulting in a warm, diffuse, and subtle light.